Do you still remember I wrote the leather skirts last time? 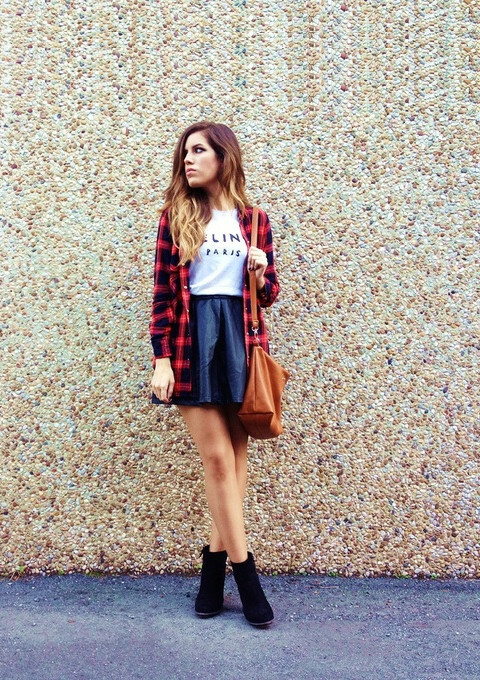 Now I give you some leather skirts review then you can consider more fashion ideas. In the past if you had to establish a vision of “the leather look” typically images of rough looking bikers would come to mind. Over the last few seasons though, leather has proven to be a wardrobe essential which can be worn by any woman. Looks range from casual, to office, to party and all have one thing in common, they’re classy! And far from the biker chick look. First, let’s establish some basics for pulling off leather without having it look too harsh. The key is to pair it with super feminine fabrics and textures for contrast. Think lace, chiffon and ruffles, fur, very light weight flowing and soft materials to balance with the heaviness of the leather. For daytime wear, I recommend pairing your leather with a light color to keep it from being overly formal.